Your parents page should cover most of what you need to know about being part of our family at St. Patrick School from earning PIP by volunteering to school uniform information and more. If you ever have questions, contact our school office anytime at 619-297-1314. Looking for a form or flyer? Here is a list, with links, of the most commonly needed forms and information from St. Patrick School. A successful parent involvement program emphasizes unity, community, and support in which their children will learn and grow. St. Patrick School provides many opportunities for parents to become active participants in the education of their children. It is not so important what you do, but that you are present and active. There are a multitude of service possibilities that can accommodate all family schedules. We are all aware of the influence that personal appearance can have on an individual’s attitude towardshimself/herself and others. It is our hope that the school uniform policy will contribute to a feeling of cohesiveness within our school community and lessen competition or judgment of worth based on outward appearance. Please see the Parent Handbook for the full Uniform Policy. Simply search for St. Patrick using the school code STPA04 and enter the specifications for your student(s). We will offer a two-year transition period where old uniforms to be worn through the 2019-2020 school year. All daily, physical education, and formal (junior high only) uniform requirements will remain the same. 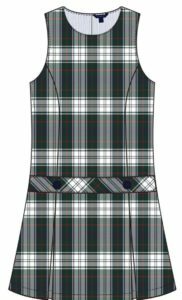 In essence, only the plaid of the girl’s jumper and skirt has changed. Please check your parent handbooks for our uniform policy. Recycled uniforms are between $3 – $5 for T-Shirts, blouses, Polos, jumpers, skirts, shorts, pants, sweaters, and sweatshirts. If you are interested in purchasing recycled uniforms, please contact the school office for more information. You can even trade in your gently used uniforms and receive a new size! All checks are to be made payable to St. Patrick PTG and funds go towards school hospitality events. If you have uniform donations, please leave them in the school office for pick up. Any clean and usable uniforms will be accepted. Thank you for your support of this valuable program. Fundraising is important to our school. There is something for everyone in the various fundraisers we offer throughout the school year. CLICK to view current events and fundraisers. CLICK to view fundraising volunteer opportunities. Daycare is available before and after school each school day. Daycare begins at 7am until 8 am and after school care begins at 3pm and ends at 6pm. If your child is in St. Patrick School’s daycare program, please ensure prior to your child’s first day in daycare, that you have completed the Daycare Registration Form. Daycare supervisors can be reached at 619.279.3477 between during the following hours — M-F 3:30 pm to 6:00 pm. Please review the Daycare Rates & Rules with your child before beginning daycare (this document also contains pricing). Daycare is provided for all registered St. Patrick students on all but a few school days: First two days of school, Monday following the Fall Festival, Good Friday, and Last Day of School. 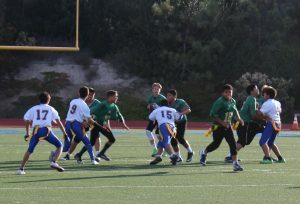 Information regarding St. Patrick School clubs and sporting programs can be found on our Sports & Clubs page. We will include meeting and/or game schedules and directions if events take place at a different location from the school. Please email or call the school for a team or club roster. In keeping with Diocesan policy, all adults who will be volunteering as field trip drivers, coaches, or anything involving unsupervised contact with students, need to complete a background check. We no longer use LiveScan. Parents must now go through CMGConnect. Go to https://cmgconnect.org and select Your Diocese – San Diego. 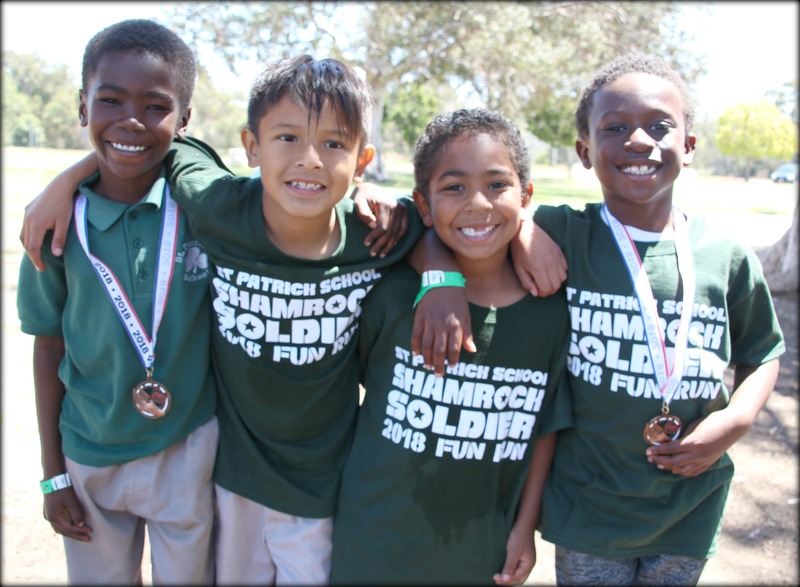 Register for an account and then select St. Patrick School – San Diego as your Parish/School. Select Volunteer as your role. The site will take you through the process. If you have questions, please contact the school office at 619-297-1314. All School Board Meetings are open to the parents of the children at St. Patrick School unless otherwise indicated. 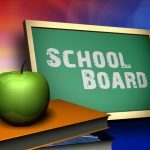 The School Board Meeting dates are on the school calendar and begin promptly at 6:30 pm.